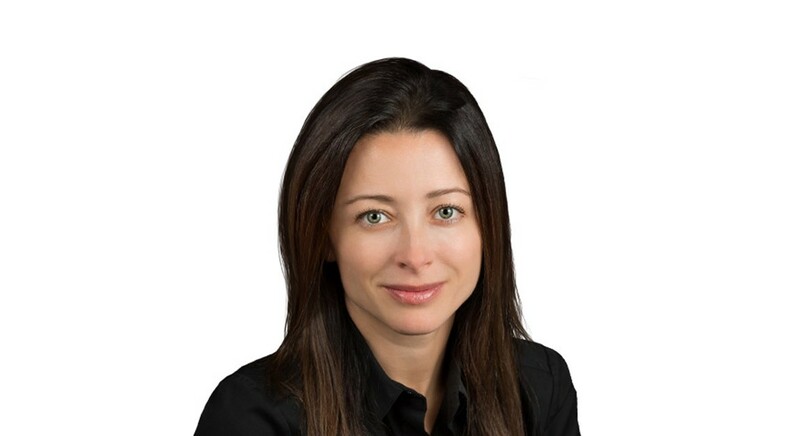 I had the pleasure of interviewing Anna Fridman, Co-Founder and General Counsel at Spring Labs, the company behind Spring Network, a blockchain-based protocol being designed to allow lenders, banks and data providers to securely and efficiently exchange data with one another. Previously, she was founding General Counsel of Avant, Inc., a successful Chicago startup. My family and I immigrated to the U.S. from Russia soon after the fall of the Soviet Union, when I was 13 years old. While we didn’t have significant means when we got to the U.S., there was always an inherent understanding that education is important so I ended up getting an undergraduate degree in Business Economics (with minor in Russian Literature just to break up all the fun accounting and econ classes) and then a law degree — both from UCLA. After law school, I practiced transactional law in Los Angeles before relocating to Chicago, where I completely changed the trajectory of my professional career and joined a pretty successful consumer finance startup as in-house counsel. Later, I was the founding General Counsel of a FinTech startup focused on revolutionizing consumer finance, Avant, which became the leading digital lending platform for middle income consumers in the US. There we got to work closely with consumer data and consumer credit bureaus and saw a huge opportunity to improve how consumer identity and performance data is stored, shared and treated — and the idea of Spring Labs was born. That’s also where I got to know my Spring Labs co-founders, Adam Jiwan and John Sun. Aside from the day-to-day challenges of building the Spring Network, I’m really excited about an initiative we are starting that we are tentatively calling Proof of Diversity (a play on “proof of work”/ “proof of stake” blockchain concepts). As a C-Level executive in the tech space for the past six years, I’ve been able to see firsthand how few women participate in the space and, to be frank, it’s incredibly frustrating to see. Especially since, when given the opportunity, women have proven themselves time and time again as pioneers of technological innovation. This imbalance exists even more-so in the blockchain space, which is why I’ve made it a personal goal of mine to make sure that we, as women, have a hand in shaping what could be the most disruptive technology of the past few centuries — the blockchain. While there are a number of excellent initiatives in the space already, we’d like to approach it from the angle of a specific deliverable ask (#proveit). We are still working on the details of what we think a realistic and reasonable deliverable should be, but that’s the thinking as of now. There are a dozen women and men who helped me stay on track along the way. This includes a female partner at a law firm I worked in when I graduated who unabashingly promoted my interests, my dad who tricked me into not dropping out of law school in favor of pharmacy school after the first year, my husband who seems to have more faith in me than I do sometimes, and many others. But there is one person that I think shaped me into the person I am and imbedded internal strength and independence in me — my grandmother. I know it’s somewhat of a cliche to be hugely influenced by a grandparent, but she was no ordinary person. When my grandmother’s parents told her at 13 that she needed to drop out of school to take care of her younger siblings, she ran away from her small village in Russia and hitchhiked to a larger city. Once there, she lied about being 18 years old and was admitted to a sort of expedited track university/trade school that existed in the early Soviet years. She became a judge at the age of 20 and quickly created a name for herself as tough and ethical judge — someone who would aggressively pushback on illegal persuasion, which was common in the Soviet Union. This was a huge risk in the Soviet Union, but somehow behaving in this unpredictable and irreverent manner made her more immune from the system. She won respect and acclaim of her co-workers and at the point of her retirement, held an extremely high role. When I was a kid, it seemed to me that she was Superwoman, determined, unwavering, always standing up for what she believes in — able to do anything. And when I grew up, I realized that in fact she was Superwoman and a tremendous role model of unabashed strength despite the hardest of circumstances. She raised me to expect challenges and not break down when faced with them and I think that is the most important skill I could’ve ever been given. And one of the most important things you need to have in business. One of the efforts that my husband and I are particularly proud of is seeding IVenture Accelerator — University of Illinois accelerator for top student startups. It is now in its fourth cohort of student ventures and has had 50 student teams participate in the programs. It is amazing, and humbling, to see the creativity and drive these young entrepreneurs have and I am excited to see how quickly the program is growing. ○ Know your own personality — I know many people say that it’s important to overcome challenges and improve on your weaknesses. I happen to be of that opinion; however, while it’s good to overcome challenges that come up before you, choosing to swim upstream at all times is only good if you are into that. All of us have strengths and weaknesses and we should soberly assess what our strengths are (not what we’d like them to be) and pursue that. For example, being in a startup, you have to be ready to make a million decisions and make them quickly, and you have to enjoy that. ○ Don’t stress about deciding where you ultimately want to end up professionally — whatever you plan will surely not happen, well at least for most people. It could end up being different, better or worse, but who knows. I can say with absolute certainty that I would not have expected to be doing what I am doing now 15 years ago. ○ Try to be solutions focused — when you spend a lot of time with you colleagues, particularly in high pressured jobs, it’s true in my experience that people will judge you by what you project in stressful situations. I’ve noticed that if in stressful situations, your first reaction is to say, “Ok, this happened, what is the best way to fix it and how do we implement those steps?”, with time people will look to you to lead. Valerie Szczepanik, the newly named SEC Advisor for Digital Assets, without a doubt (publications have used the term “crypto tsar”, but I am not sure Ms. Szczepanik would be a fan of that title). As we build out our network, regulatory compliance is the top priority. I’m well aware of how proper regulation can improve an industry’s chances of success and looks like SEC nominated a very knowledgeable person to be a significant part of laying out the framework. Would love an opportunity to hear Ms. Szczepanik’s informal thoughts over breakfast.